The Missouri Department of Economic Development hosted a webinar on April 4 to review new emergency rules to the Missouri State Historic Tax Credit Program triggered by the passage of SB 590. SB 590 reduced the available credits each year to $90 million plus $30 million for projects in distressed areas. Beyond the reduced cap, the most significant change is a new allocation system that includes semi-annual application rounds, the addition of a scoring system to determine which projects receive allocations, additional requirements for preliminary applications, and timing for incurring eligible soft costs. Application rounds will be held each spring and fall. The first deadline is June 3, 2019; the next deadline will be October 1, 2019. Subsequent rounds will be April 1/October 1 each year. The scoring process gives preference to projects in certain geographical areas, that create jobs, and with financing in place. Based on its score, a project will fall into one of three tiers. Top-scoring projects will receive an allocation of credits upon SHPO approval of the scope of work. After the first scoring round, DED will provide further guidance about credits for Tier 2 and Tier 3 applications. Scoring rewards projects whose end-use creates jobs. This will heavily favor commercial projects over residential projects that typically have few employees. Scoring favors projects that have secured financing, including local incentives. This creates a catch-22 as many lenders require an approved Part 2 before a project can secure construction financing. It is unclear if a proposed term sheet from a lender will suffice. Scoring favors projects located in Opportunity Zones and Qualified Census Tracts, which will make projects in non-designated areas (urban and rural) challenging. Building permits and land-use/zoning approvals must be submitted with the preliminary application. Prior to application approval, costs (soft and hard) will be considered QRE only from the 6 months prior to the preliminary application filing date. This may exclude much of the expense associated with design, securing local incentives, or securing National Register designation. Costs are only eligible QRE if the proof of payment is in the name of the applicant, including credit card receipts. This requirement may create a burden for developers incurring initial pre-development costs under a different name than the applicant. The new rules will affect all applications submitted after August 28, 2018. DED will send written communication to all projects that have submitted applications, but are not yet approved, to explain how the new rules will apply to that specific project. 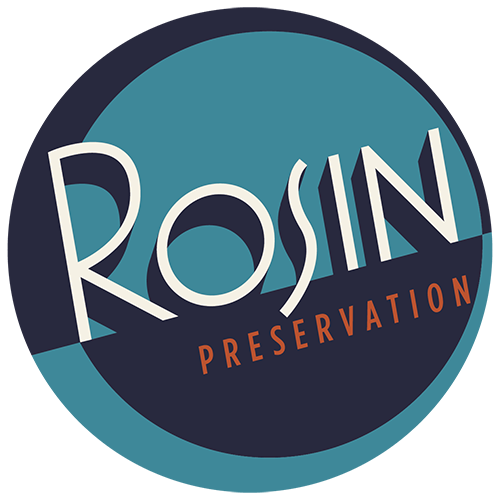 Rosin Preservation is working with statewide advocacy partners to provide feedback and gain clarification on how these rules will impact our clients’ projects in Missouri. Because these are “emergency rules” there will be a comment period and hearing by the Joint Committee on Administrative Rules prior to the implementation of permanent rules. Historic Revitalization for Missouri will be holding workshops in St. Louis and Kansas City to review the emergency rules and how stakeholders can engage with the final rule-making process. The St. Louis workshop will be held on April 18 at the Old Post Office. The Kansas City workshop is scheduled for the week of April 21 at Plexpod. If you would like final details about either meeting, please email elizabeth@rosinpreservation.com.